How to restrict Web Page Content Theft or Code theft? 1)	User has to enter Username etc instead of Copy Cut & Paste. 2)	Others cannot directly copy web page Content. 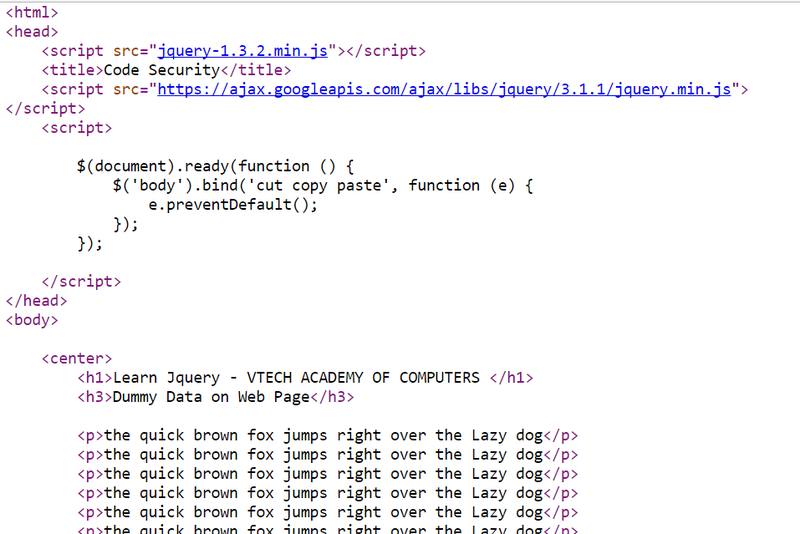 This code allow you to get source code by pressing ctrl+U. 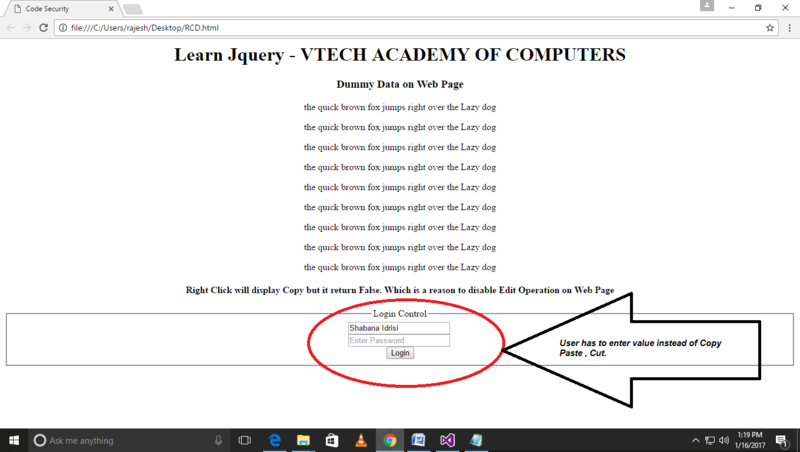 I'll show you how to block keyboard keys or special keys using Jquery.